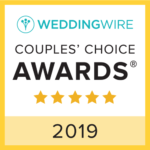 Too many to keep up with so for the most up to date reviews please check our Wedding Wire reviews and The Knot reviews direct link at top of the page. We had an easy experience setting up our song requests and submitting our preferences. DJ Joe made the night fun and kept us on schedule. We didn’t have to worry about anything but just enjoy the night. He was fun and kept the crowd engaged. Our experience rocked! We loved DJ Joe! 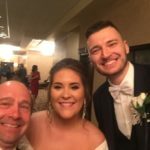 He went the extra mile to make sure that we had a wonderful reception and ceremony! 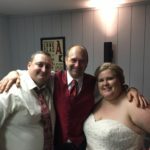 DJ Pat did such an amazing job at our wedding. He read the crowd perfectly and kept everyone from all age groups dancing. He was flexible and called me before the event to ensure that i had everything i wanted. He took requests and all of my guests were so pleased with the music. I’m so thankful i went with Mobile Rhythm for my DJ! DJ Joe was fantastic! The dance floor was rockin’ all night and the online system used for planning was amazing! DJ Jim was amazing, he did a awesome job keeping the party going! All our guests had a wonderful time! The photo booth was a big hit, so many laughs looking at all the photos! 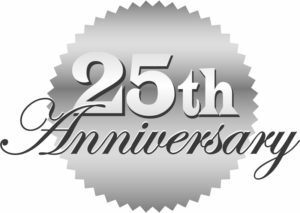 We couldn’t have asked for any better service! We were so pleased with how everything went!! Recommend mobile rhythm to everyone!! Do Steven was amazing! I am so glad we had him! He was flexible and helped me change some things day Of! With his help the night went so smooth! He kept everything rolling and just the right amount of mixed songs i wanted! I am so glad we had the opportunity to work with such an amazing guy! Thank you for everything Steve! Jim was amazing, he was so energetic and kept the party going! Everyone loved him! thank you so much Jim for making Nick and I’s special night so amazing we can’t thank you enough for everything! 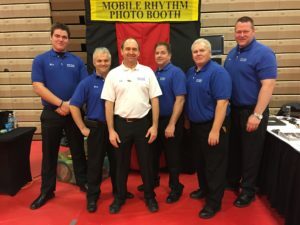 Mobile Rhythm knocked our night out of the park between the photo booth and the DJ! you guys rock! “Hope you wore your dancing shoes!